This term begins the launch of the Duke of Edinburgh Awards at South Shore Academy. There has been lots of interest and we have registered over 60 youngsters onto the programme all with parental support. The Duke of Edinburgh Award has been supported with funding from the Head Start Fund which was secured through the hard work of our students last term. The students have started their PRACTICAL and VOLUNTEERING elements of the qualification in a number of different roles. We have many students helping out in PE during lunchtimes and after school coaching, umpiring and organising tournaments. We also have over 15 young people giving up their time before school to support year 7 students with their reading. After school on a Monday we have a Satellite Club – a practical “girls only” body combat session that aims to increase participation of girls in non conventional sports, this is funded from the Essential Life Skills grant. 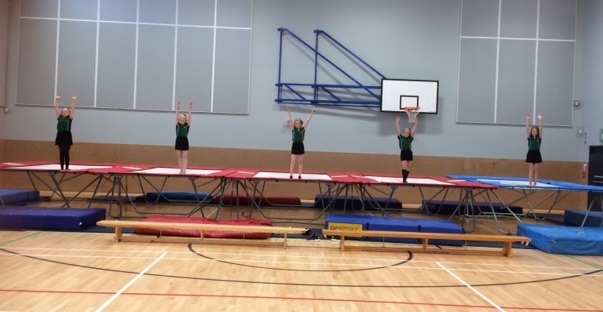 The Essential Life Skills grant has also been used to purchase a variety of new resources including 4 new trampolines which are used every day. This has increased participation levels in extra curricular clubs by many students who have not accessed these clubs for several years. Teaching staff in the academy have also been hugely supportive of all the initiatives, giving up their free time to individually mentor all of the D of E students.